There’s a new Thai place in town! 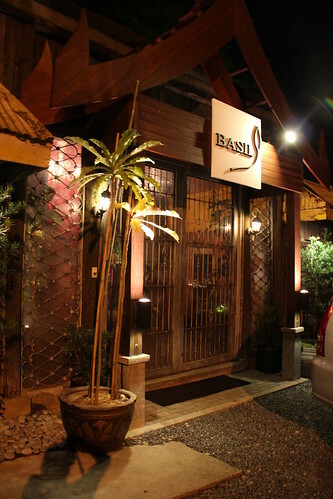 BASIL just opened at the corner of Katipunan and White Plains Avenue. 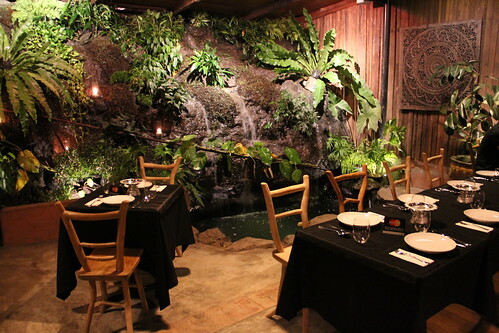 The place is nice from the outside, fancy looking. 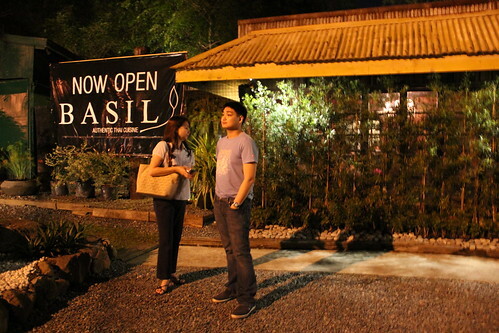 Tonight, curiosity coupled with our love for Thai food got the better of us and we dropped by for dinner. 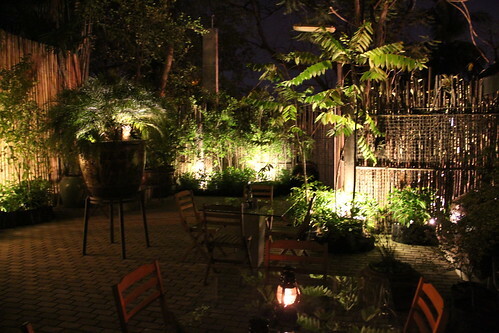 Outdoor dining area – weather permitting, assuming it is not hot nor rainy, it would be pleasant to sit outside. Smoker-friendly, too. Also, there a chance you might hear the traffic along Katipunan on a busy night.. not sure how pleasant this would be though. 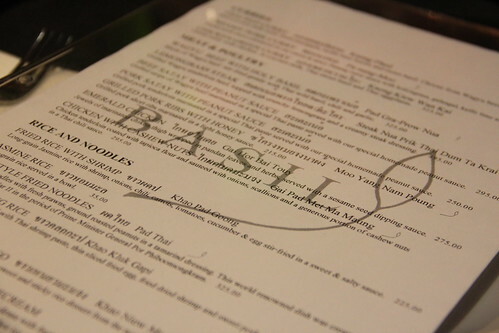 Basil Menu – Good variety and not overwhelming. 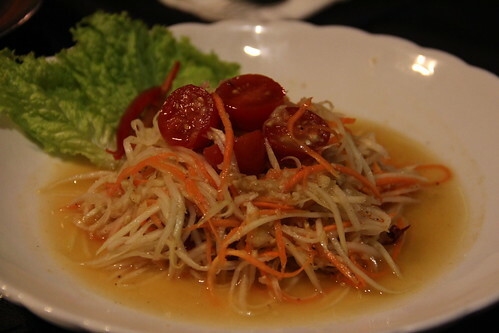 Papaya Salad (Php 245)– served to us in error since we really wanted the Pomelo Salad. This was quite tasty. I really liked this. They give you a good sized portion. Texture is good, the papaya and carrots were not soggy like in other papaya salads I’ve tried. 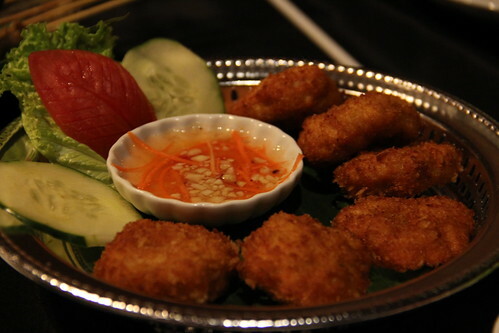 Shrimp Cakes (Php 275) – Yum! 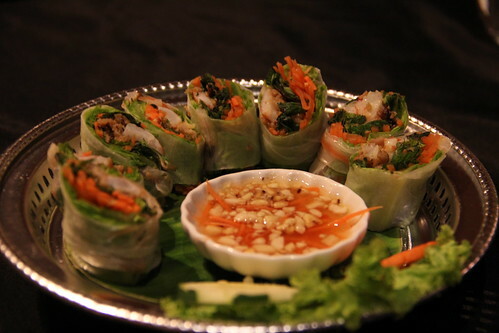 Fresh Spring Roll (Php 220) – We liked this a lot! Ingredients very fresh. Served room temperature, indicating that it wasn’t premade and then refrigerated, this made all the difference. The wrapper was quite soft which we liked. They put basil in it, giving it a good flavor. 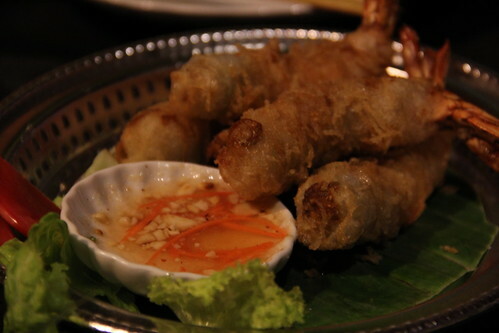 Prawns wrapped in Noodle – I can’t speak for this dish since it was served to us in error. Obviously they have coordination issues as this is error #2 during our meal. (Error #1 is the Papaya vs Pomelo Salad switch) We made the waitress take it to the proper table but not before I snapped a photo. 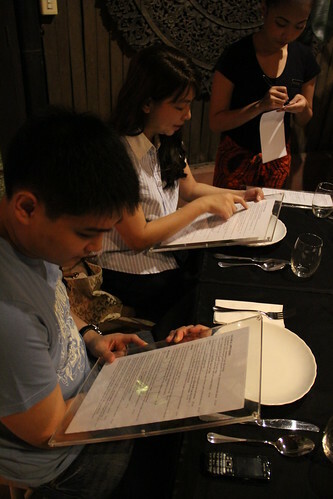 Prawns with Garlic & Pepper (Php 375) – Now this is what we really ordered. Don’t be fooled by the way it looks in the picture, it’s really good. However, okay complaint with this, portion is soooo tiny. They really need to correct that. It was evident that it’s not prawns, it’s shrimp. The shrimp, all 5 pieces were quite small and shared between 3 people, were not sufficient at all. We were all bitin. The taste is delicious though, garlic and peppery and yumminess. I don’t know if the portion vs. price ratio is worth it. 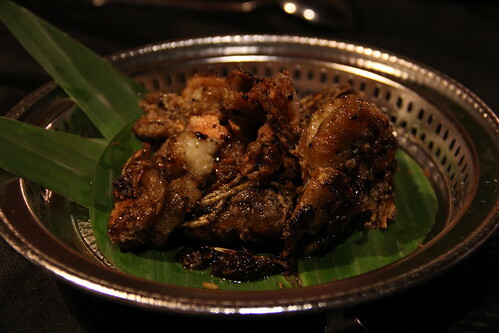 Grilled Prawn (Php 395) – Nothing special. You could make this at home. 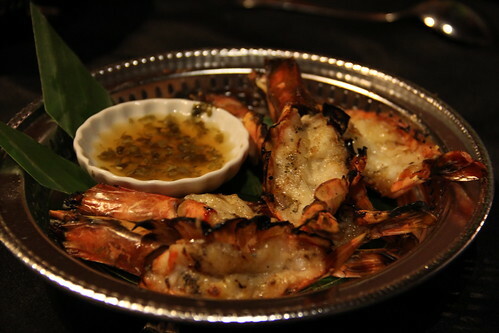 It really is just grilled prawns, not seasoned or anything. It came with some sort of “Spicy Dipping Saice” as per the menu which didn’t give the shrimp enough flavor. it was not spicy either. Beef Satay (Php 295) – Beef was tender and well seasoned. Peanut sauce wasn’t that peanutty in flavor (whether this is good/bad depends on your preference for the peanut taste). Our problem with this dish was that the skewers were so freakin’ tiny! I feel like all 6 of them = 2 regular sized barbecue. 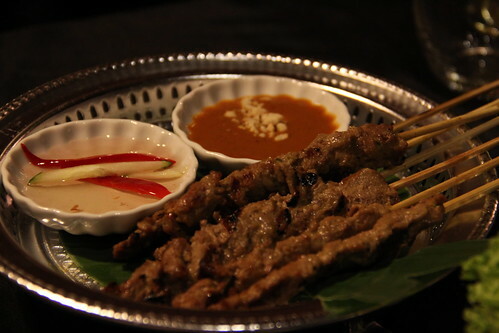 While I know satay is really not supposed to be large, these were extremely small, we felt. These are definitely appetizer and not ulam. 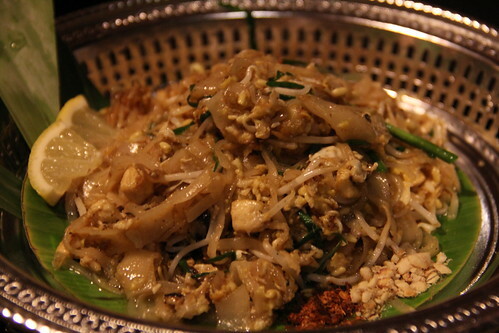 Pad Thai (Php 325) – The bagoong rice was not yet available so we ended up with the noodles as our carb. A great choice! I liked this a lot, the taste was good and they did not hold back on the toppings. My only issue with this is that the noodles were a little mushy. I’m not sure if this is how it’s supposed to be done but I like my pad thai noodles a little more firm. Other than that, this was a great dish. 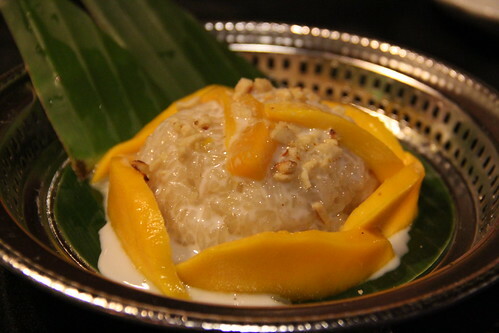 Sticky Rice with Mango (Php 130) – We are sticky rice & mango experts. I don’t want to get into details of how we are but trust me, we are. 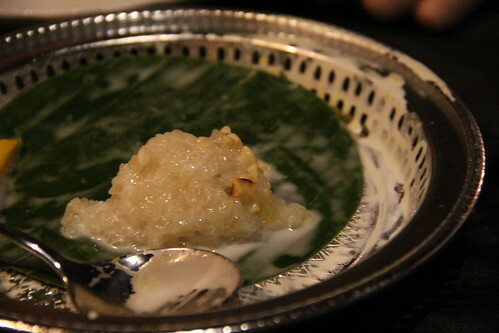 Long story short, we know the difference between authentic sticky rice and suman pretending to be sticky rice. This unfortunately is “suman pretending to be sticky rice” so, while it was good in its own special way, it’s not the same as what they give you in Thailand. Sad face. 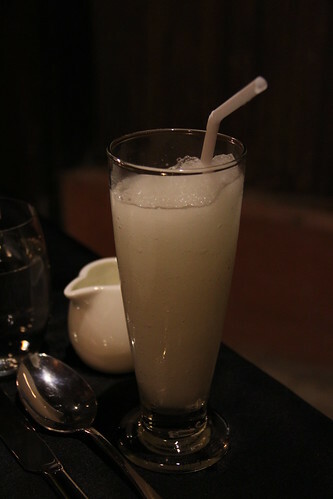 Dalandan Shake (Php 95) – Ever seen white dalandan? Yep, neither have we. Naturally, we asked the manager what sort of shake it was that they served me. He said it was a lemon but described a lime. In short, this is a lime shake. NOT a dalandan shake. Maybe their bartender is colorblind. I don’t know. They should probably fix this. It was good but again, not dalandan. The Receipt & Verdict – Okay. It’s not cheap. Oh my goodness. 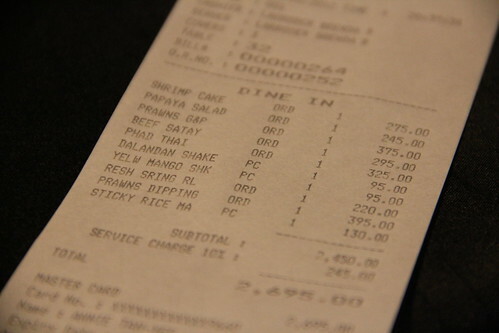 Buti nalang they take credit card otherwise we’d probably be washing dishes. Granted, my family is matakaw but to think, there were only 3 of us (my dad is out of town) and still we managed to rack up quite a bill. The amount of money wouldn’t be so bad however the portions were really on the small side. It was the portions.. that was our major concern. If you are hungry, expect to be bitin. If you are a group with healthy appetites, prepare to keep ordering. That’s what we did. The food comes pretty fast though (despite the number of diners.) Lastly, be patient with the service, they are courteous and fast but not accurate. They mixed up our orders a lot, served us the wrong thing twice and often didn’t know what dishes were called (when we asked to verify what the dish was). So, the waitstaff still need to master the menu.